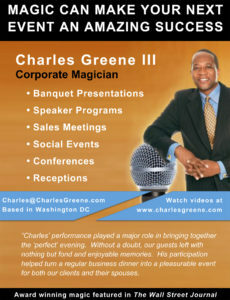 ← Presentation Skills: Public speaking lessons from the world of magic. Practice – It’s still the way that you get to Carnegie Hall, and it’s the only way to improve your public speaking and presentation skills. If you want to overcome your fear of speaking, practice. If you want to be a better presenter, practice. If you want to effortlessly deliver your message while you connect with your audience, practice. Practice is the last of the “Three Magic Keys to Successful Presentations.” For most, it’s the hardest element to fully implement. Most people don’t practice enough. Some people hate to practice. It’s work, hard work. However, it’s the only “work” that can raise your presentation skills to a higher plateau. The bottom line is that if you want to be better, you must practice. The good news is that if you practice, you will improve. Presenting well is a skill that can be acquired by most. Yes, some people are natural speakers. But some of the most memorable speakers did not start out that way. James Earl Jones, Jack Welch and Vice President Joseph Biden overcame the substantial hurdle of stuttering to become powerful speakers. All the greats got great by learning the basics of their crafts and then applying massive hours of practice. Beckham has said that his “secret” is practice. 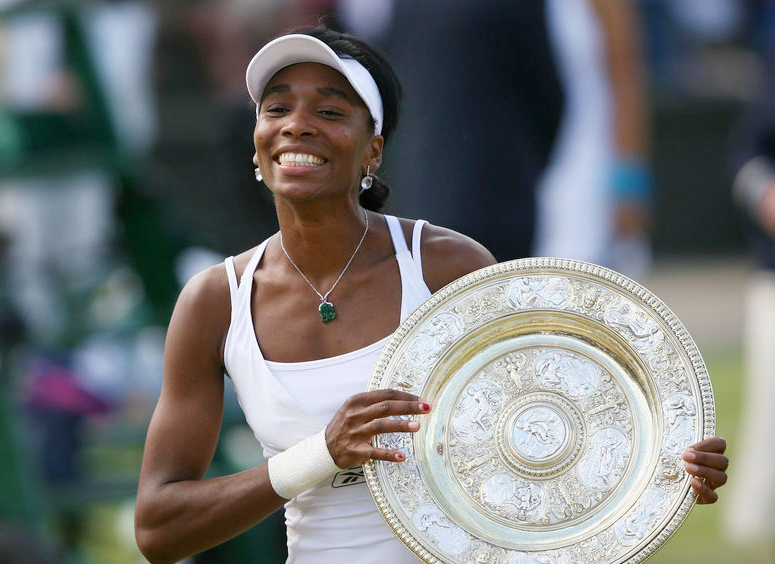 Both of the Williams sisters transcended their humble genesis thanks to immeasurable hours of dedicated practice. Michael Jordon credits his immense success on the basketball court to the time that he spent compensating for his failures by practicing more. According to Jordan, “Some people want it to happen, some wish it would happen, others make it happen.” If you want to be a better presenter, make it happen – practice. Malcolm Gladwell, the author of Tipping Point, in his book Outliers posits that it takes 10,000 hours of practice to attain a level of mastery in an endeavor. That’s practicing your skill for 3 hours a day for a decade. In case you’re in a hurry, you can attain mastery in a little over a year if you practice non-stop. You might think, “All I’m doing is talking. It’s just a short presentation. I don’t need to practice that much.” Think again. The most recognized presenter of our times is the late Steve Jobs. A BusinessWeek article from 2006 revealed that Jobs put in “grueling hours of practice” before his keynote presentations. How many grueling hours have you put in lately? Why practice? Besides wanting to improve, it’s the best way to edit a spoken presentation. By speaking aloud your chosen thoughts, you’ll discover the little things that can be removed, changed, or adjusted. Your presentation will become “lighter and tighter” with practice. Think of these adjustments as massaging your talk into proper alignment. It only happens after verbally articulating your message aloud. So, how much should you practice your presentation? Until you know it like you breathe, without thought or hesitation. When you reach that level you’ll be speaking from a base of practiced technique instead of a base of casual preparation. Nancy Duarte, author of Resonate, recommends practicing 30 hours for an hour-long presentation. I understand that most people don’t have that kind of time to dedicate to each presentation. Most would consider it a luxury. However, only you can set the value of practice for a presentation and determine if the time spent would be a luxury or an investment. If your presentation is for your boss’ boss and might affect your professional life, you might just want to invest in more practice time. 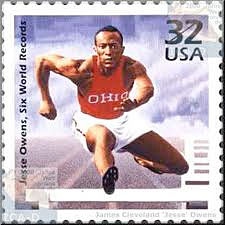 Jesse Owens said, “Life doesn’t give you all the practice races you need.” By always practicing and then practicing some more, you’ll be forming a base of practice and experience beneath you. This will prepare you not only for planned presentations but also for spontaneous ones. It will give you options for when things go horribly wrong, e.g., the projector bulb blows, the microphone cuts out, the wireless remote fails. Practice and create your base. Here are 10 tips for practicing and developing your base of presentational technique. Do it more than you think you need to. Let yourself evolve during practice. Rehearse as you will present, standing or sitting. Practice your talk in chunks and then as a whole presentation. Rehearse your talk in full tech-rehearsal mode. Review your facial expressions and physical movements. Practice with your gear – projector, computer, remote, flip charts, etc. Video your rehearsal and then watch it with the sound on and then off. Use a timer – one that counts up and can count down. Your base of presentation technique should include the following skills: audience engagement, message preparation/delivery, prop handling, and slideware design. Hone these skills through practice and you’ll be ready for any speaking opportunity. They’ll keep you calm, help you deal with technical malfunctions, and give you an edge as you face your audience. Making the investment of time to build a base of presentation technique will pay off. Roman philosopher Seneca said, “Success comes when preparation meets opportunity.” Your topic, audience, and venues may change, but your technique will remain to make you a successful presenter in front of any audience. This entry was posted in Public speaking and presentation skills and tagged Nancy Duarte, Practice, presentations, Steve Jobs, Three Magic Keys. Bookmark the permalink.